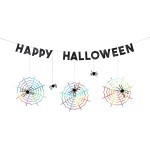 It's so easy to decorate with this pre-strung Halloween garland. Just choose the place and hang. 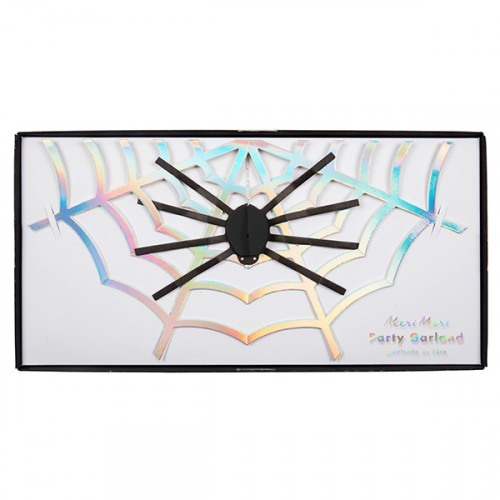 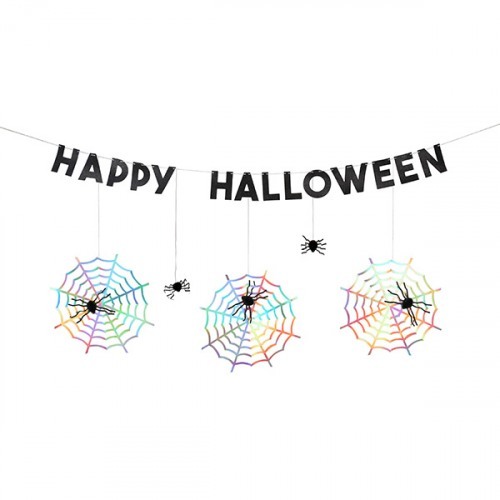 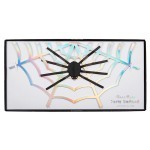 The black letters spell out "Happy Halloween" and between the letters are 3 rainbow holographic spiderwebs and 5 honeycomb spiders for more spooky fun. Minor assembly required.